Do you know that a Journal Entry on SAP Business One can be created using G/L Account and a Business Partner Code? 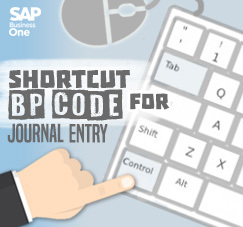 As a finance user on SAP Business One, posting a journal entry is your daily job, you can use both, between G/L Account or BP Code, faster and easier with these tricks. On Journal Entry (Financials > Journal Entry) menu. Put your mouse pointer on “G/L Acct/BP Code” field, then right-click, choose “List of Business Partner”. Select one of them, and continue your task for creating a journal entry on SAP Business One. 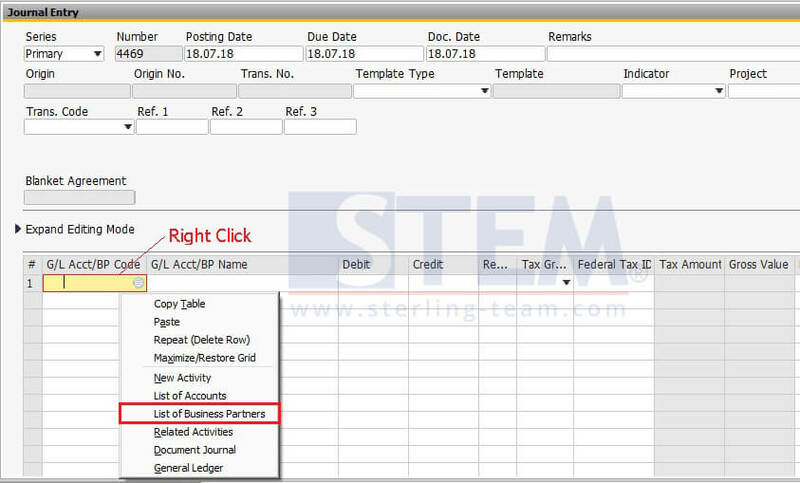 Make sure your selection exactly on the “G/L Acct/BP Code” field, then press the Ctrl and Tab button combinatio20n, and List of Business Partner screen will be popping up. Choose on of them.